copyright ⓒ이화보이스 all rights reserved. 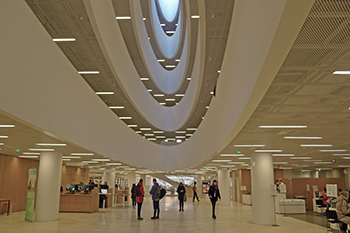 The Helsinki University main library, located in the city-center is an essential place forcollaboration and self-study for students. Photo by Yoon Chae-eun. Think Corner, the promotional area of University of Helsinki, where Jari Lavonen, Kaiju Kangasand Sari Ylinen met for an interview with Ewha Voice. Photo by Kim So-jung. Students in the Introduction to Philosophy of Artificial Intelligence class in group discussion.Photo by Yoon Chae-eun. 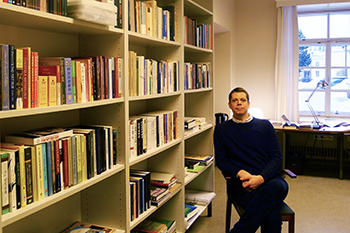 Andrew Logie discusses his thoughts on teaching Korean studies in Finland. Photo by Yoon Chae-eun. Osmo Mattila demonstrates how to use VR headset using a forestry education program. Photo by Kim So-jung. Two perennial challenges of Korean education that are present from kindergarten to college are reducing the pressure of a hyper-competitive system and preparing students for an uncertain employment landscape. How should students learn differently? And what should they be learning? To answer these questions, Finland’s novel approach to education can shed light on how to prepare students for a high-tech future. Finnish education has been showcased through Michael Moore’s 2015 film “Where to Invade Next” and the Korean Education Broadcasting System (EBS) documentary “Everybody’s School”. This system is often singled out because it has produced strong academic performance while allowing students to thrive in an empowering atmosphere. This is in contrast to other high-performing countries such as Korea, which is infamous for its hyper-competitive education system. Finnish 15-year-olds perform highly in the OECD’s Programme for International Student Assessment (PISA), a benchmarking education achievement test in reading, math and science. While both Koreans and Finns perform consistently well in these tests, Finland’s education system has been found to put less pressure on students thus providing useful examples for Korea. Finland and Korea also share a focus on teaching technology in the classroom. For example, they are among the very few countries in the world to have incorporated coding into the national curriculum. This focus on IT education is hardly surprising, given that the job markets of these two countries depend on technology-driven industries. Korea’s recent development has focused on AI systems, cellphones and smart household appliances, while Finland’s labor market is increasingly fueled by IT and engineering consulting industries. For Jari Lavonen, a professor of Physics and Chemistry Education at the University of Helsinki (UH), the cornerstone of Finnish education is equality. Formal schooling is free for all from kindergarten to university, with books, meals and all educational materials fully funded by local governments. Socio-economic status does not come into play in accessing public education provision, and private education is almost non-existent, he explained. The little private education that does exist, is more for the support for those who fail to keep up with the average standard of academic achievement, as opposed to excelling in certain areas. All teachers receive mandatory training to cater to the needs of students with learning disabilities. Finland also treats students equally when it comes to their academic capabilities. Rather than segregating students based on performance, public schools teach students of all competencies together in one class. In order to ensure that both top performers and those who need extra support can thrive, teachers encourage advanced students to assist their peers, creating a positive cycle of support. Kaiju Kangas a professor of technology education at the UH, is one of only two professors in Finland specializing in craft science education. As the name suggests, this subject allows students to take a hands-on, project-based approach to learning by building, making and designing products. The subject is taught in all Finnish schools based on the country’s strong tradition of the “Maker Movement,” where people highly value DIY over hiring others to solve their problems. Craft science is mandatory in every elementary school, with the number of teaching hours dedicated to the subject decreasing as students enter high school. The subject trains students in two key components – teamwork and the application of theory to real life. 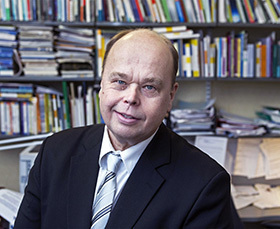 Teamwork is vital for the Finns to stay competitive, according to Professor Kangas. The country has just five million people and is surrounded by regional superpowers such as Sweden and Russia that once colonized the country. Therefore, Professor Kangas stressed Finns’ ability to work together as critical. This incentive also informs why Finland chose to develop its economy based on social democracy, with a welfare system where every taxpayer receives strong education and healthcare support. In contrast, Korea’s neoliberal system propels a robust private education industry and a mostly privatized higher education sector. Sari Ylinen, a researcher in the Department of Education at UH, is a linguistics specialist working on second-language acquisition through web applications. Her work has garnered attention because it proves how proficiency can be achieved in second languages without private tuition. One striking difference between Finland and Korea is that most fluent English speakers in Korea have lived abroad or invested huge sums to attend private English-learning institutes to hone their skills. A 2016 report published by Statistics Korea showed that the average expenditure per household on major academic areas – Korean, English and mathematics – was around $200, with an increase of 0.6 percent in 2015. Meanwhile, in Finland, many students attain English proficiency without special assistance outside of school. According to Ylinen, the secret to training people to become multilingual, is to take an integrated approach. The segmentation of language learning into grammar and vocabulary as well as reading, listening, writing and speaking tasks is less strict in Finland. In fact, students learn in natural ways such as by watching English-language movies or TV shows without Finnish dubbing, or by practicing English conversation with friends, without worrying about mistakes at first. The need to learn English is similar in both Korea and Finland, as these countries’ unique native languages are not widely spoken abroad. To observe Finnish university classes, Ewha Voice visited two classes at the UH relevant to Finnish-Korean IT Education comparison: “Introduction to Philosophy of Artificial Intelligence”, an elective course in the department of Cognitive Sciences, and “Contemporary Korea”, also an elective in the Cultural Studies Department. 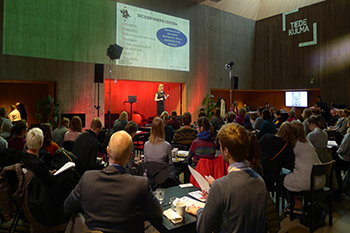 Both courses featured a mix of lectures and audiovisual material, as well as student and lecturer-facilitated discussion. Unlike the stereotype that Finnish students would be outspoken in class in all environments, students in the AI class were much better at engaging in fierce debates among themselves in small groups. However, when asked to speak out to the entire class, only a few raised their hands to lead the discussion. The situation was similar in the “Contemporary Korea” class where students thrived in group discussions based on their weekly assignments. Close to half of the 90-minute class was dedicated to elaborating on the latest Korean issues that students found in English-language Korean media. A feature of both classes was that professors played music while students were engaged in discussions. 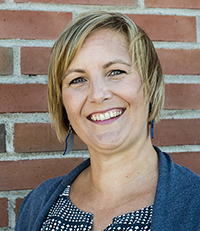 During the AI class, university lecturer Anna-Mari Rusanen played a song titled “Self-Control” when students were discussing the notion of cognitive agency. In the Korea class, Professor Logie played newly released K-pop songs “After You’ve Gone” and “Fire Up” just before beginning the class. The music was soon turned back on when students started group discussion on diverse issues including comfort women, the training of music performers and labor union protests in Korea. He mentioned that part of the promises of Finnish education had been exaggerated in international media, and that it has become an inseparable part of the national brand image. “Nonetheless, there are certain elements of Finnish pedagogy which work,” he said. One part of this would be the amount of freedom that is given to students in terms of attendance. In both classes, students freely walked into the room even after class had begun, and the instructors had not taken note either. Students in both classes also signed up based on their interest in the class, rather than being tied to graduation requirements. Most classes at UH are open to both undergraduate and master’s students and students are given the freedom to choose classes flexibly, which is in contrast to the Korean reality, where many students must design their course schedules based on recommended courses to meet degree requirements. 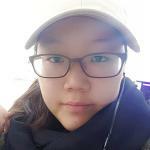 “I took this class because I found the philosophy aspect of the course interesting even though it was challenging,” said Wing Yee-fan, an exchange student from The Chinese University of Hong Kong who is taking the AI class. Both classes went beyond the relaying of searchable information, and excavated deeper philosophical lessons as well as repercussions of Korean social issues. For instance, the AI class dealt with how AI may be superior in one sense, but not in others. Students in the AI class also had to think on their own about philosophical problems such as what the notion of autonomy is and cognitive agency is. The class went beyond the importance of technological development, and provided the chance for students to explore the ethical dilemmas when using technology. As a scholar of Korean studies with interests both in the contemporary issues and historical aspects, Logie explained how he studies Korean issues. He also shared his thoughts on social problems in Korea. One big difference between Korean and Finnish university classes was the grading system. Bachmann shared his thoughts on the system at the UH. 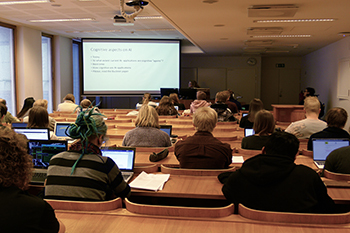 As well as capitalizing on their inclusive education system, Finns are increasingly focusing on integrating technology in the classroom, in terms of both pedagogy and content. The Mixed Reality Hub (MRHub) at the UH is an innovative example of how this can work. The lab combines virtual reality (VR) and augmented reality (AR) technology to create mixed reality applications that can be used in applications from sales and customer service through to teaching. 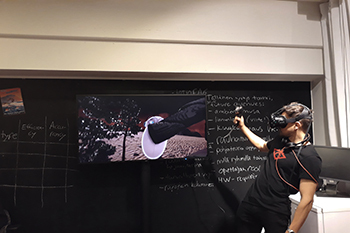 Osmo Mattila, a postdoctoral researcher at the center showed how VR headsets are being developed to teach forestry, which is a traditionally important industry in Finland. The technology can be used to teach students how to plant and manage forest resources in VR, as opposed to actual forests. Students can select the virtual environment for their learning, with landscapes available on both Mars and Earth. They can either follow lessons that have been pre-recorded by a teacher or create their own lesson plans by recording their virtual moves into the system. 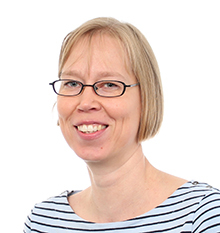 As with all innovations, another researcher, Jani Holopainen, stressed that there is no guarantee that VR learning will be the “next big thing,” though they are making strides in developing creative ways to integrate technology into the classroom. “No one knows whether VR or AR techniques in the classrooms will be mainstream and used by all, but nonetheless it is important to explore the various technological possibilities out there”. 1Campus NewsEwhaian spotted everywhere studying for the upcoming midterm exams. 1Professor ColumnGo Search the Net, Who Reads Books?